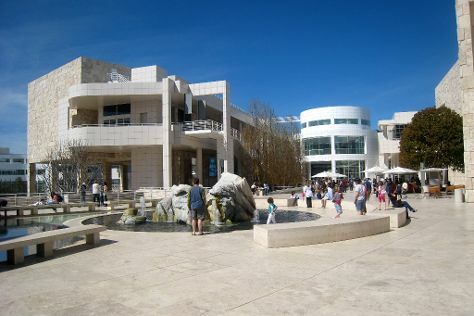 You'll explore and learn at The Getty Center and Natural History Museum of Los Angeles County. We've included these beaches for you: Will Rogers State Beach and Venice Beach and Boardwalk. When in Los Angeles, make a side trip to see Oak Canyon Nature Center in Anaheim, approximately 58 minutes away. There's still lots to do: look for all kinds of wild species at Kenneth Hahn State Recreation Area, get a new perspective on nature at La Brea Tar Pits and Museum, stroll the grounds of Hollywood Forever Cemetery, and take in the waterfront at Santa Monica Pier. To find traveler tips and other tourist information, go to the Los Angeles trip itinerary planner. Saudarkrokur, Iceland to Los Angeles is an approximately 34-hour flight. Due to the time zone difference, you'll gain 8 hours traveling from Saudarkrokur to Los Angeles. Plan for much warmer temperatures traveling from Saudarkrokur in March, with highs in Los Angeles at 27°C and lows at 14°C. Finish up your sightseeing early on the 11th (Mon) so you can travel to Las Vegas. You'll explore and learn at The Mob Museum and Titanic. For shopping fun, head to The Strip or The Grand Canal Shoppes at The Venetian. And it doesn't end there: take in breathtaking views at Red Rock Canyon National Conservation Area, look for all kinds of wild species at Lake Mead National Recreation Area, examine the collection at Pinball Hall of Fame, and try your luck at Bellagio Hotel and Casino. To find more things to do, where to stay, traveler tips, and other tourist information, go to the Las Vegas trip planner . Traveling by flight from Los Angeles to Las Vegas takes 4 hours. Alternatively, you can fly; or drive. In March, daily temperatures in Las Vegas can reach 27°C, while at night they dip to 13°C. Finish your sightseeing early on the 15th (Fri) to allow enough time to travel to San Francisco. You'll get in some beach time at Fort Funston National Park and San Gregorio State Beach. You'll explore and learn at Exploratorium and de Young Museum. When in San Francisco, make a side trip to see Fitzgerald J V Marine Reserve in Moss Beach, approximately 40 minutes away. Next up on the itinerary: explore the wealth of natural beauty at Alcatraz Island, take in the waterfront at The Embarcadero, buy something for everyone on your list at Ferry Building Marketplace, and snap pictures at Golden Gate Bridge. To find photos, where to stay, maps, and tourist information, go to the San Francisco trip itinerary planner. Fly from Las Vegas to San Francisco in 4 hours. Alternatively, you can do a combination of flight and subway; or drive. Traveling from Las Vegas in March, you will find days in San Francisco are little chillier (21°C), and nights are about the same (11°C). Finish your sightseeing early on the 21st (Thu) to allow enough time to travel back home.